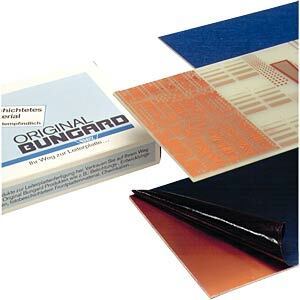 Premium quality original Bungard base material. 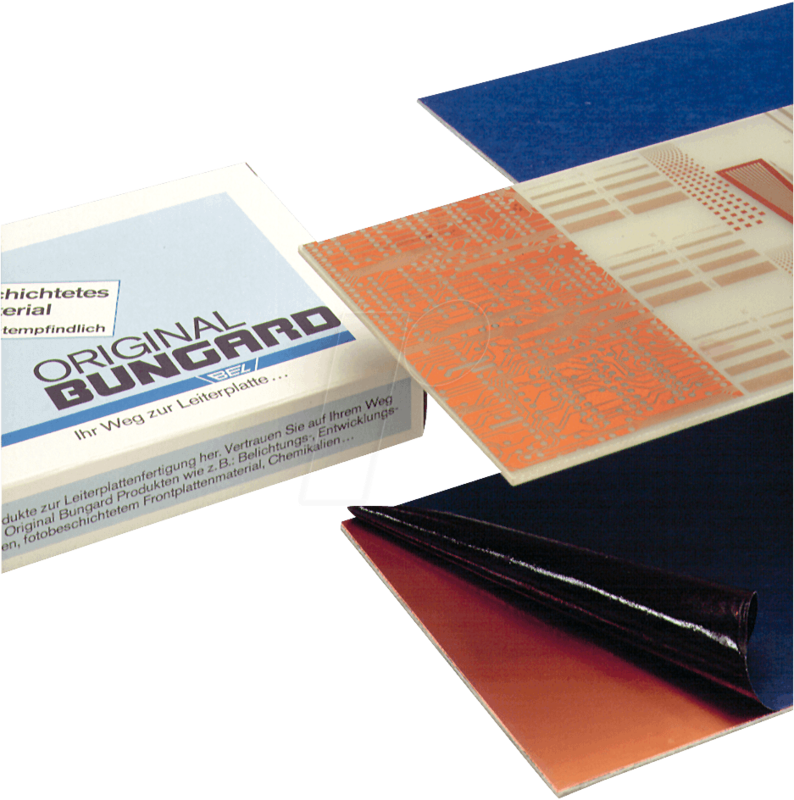 Tested and approved in accordance with MIL, UL, VDE, IEC, NEMA and other regulatory safety standards agencies. The boards are protected with blue protective film that features a black adhesive side.